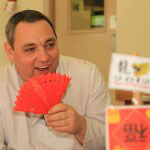 Celebrating The Year of the Dragon! 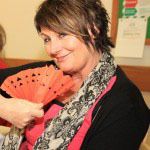 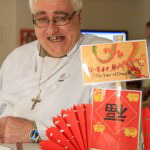 On 23 January 2012, AMH New Horizons in Foyle had a Chinese Feast to welcome in the Chinese New Year. 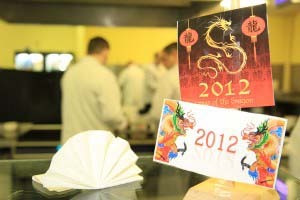 The year 2012 is the 4709th Chinese year and is the Year of the Black Water Dragon! 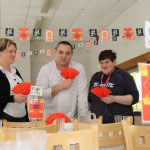 On the menu for starters were Mini BBQ Ribs, Mini Vegetable Spring Roll and Chilli Chicken Wingsfollowed by Chicken marinated in Chilli, Ginger, Garlic Yoghurt and Coriander, served on bed of Lemon Scented Rice – all beautifully prepared by some of our talented clients and staff!